This a very vulnerable and emotional Teal Tuesday! I was inspired to do this post because a few weeks ago I volunteered by taking pictures of 130 beautiful baptisms at my church Grace Fellowship. It was SO inspiring and reminded me of my own baptism over 3 years ago. When I was 21 I was baptized in a friends pool along with my brother Austin, his girlfriend (now wife) Kristy, and my best friend Claire. When we were babies we were dedicated to our church and our parents promised that to the best of their abilities, they would raise each of us with God's love and direction. We always had a choice of whether we wanted to follow Christ or not and make the decision on our own to follow Him when we were ready. I made the choice to accept Christ into my heart as my Savior when I was around 8 years old, but didn't really start walking a surrendered life with Him until college. I decided to get baptized when I felt I was ready to express in public my freedom in Christ and that I was committed to walking with Him for the rest of my life. In college I was a part of an awesome ministry called InterVarsity. I grew closer to Christ from the fellowship at JMU as well as from leading a small group bible study. I was also a counselor at Summer's Best Two Weeks, which is an awesome Christian sports camp. The fellowship and serving that happened while I was a counselor their for two summers really shaped me as well. 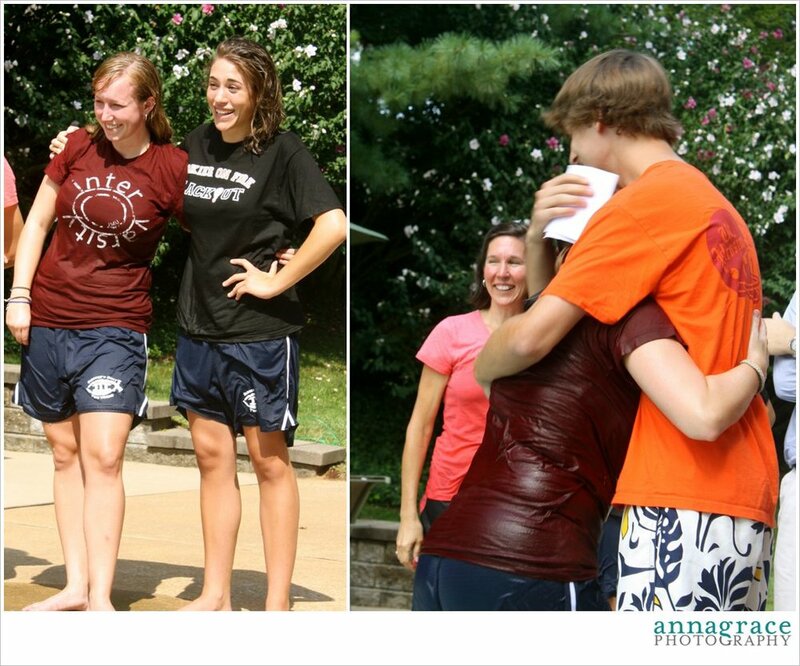 It was very special to be baptized the same afternoon with three important people in my life. It was also very special to have both of my parents baptize me together because they have had a big impact on my life. I would be nothing without Christ and owe my life to Him. Here are a few pictures from my baptism!